Rarely do you find a home of this size and caliber for less than $500K in East Flagstaff. This home was built for the former owner and has many custom touches. 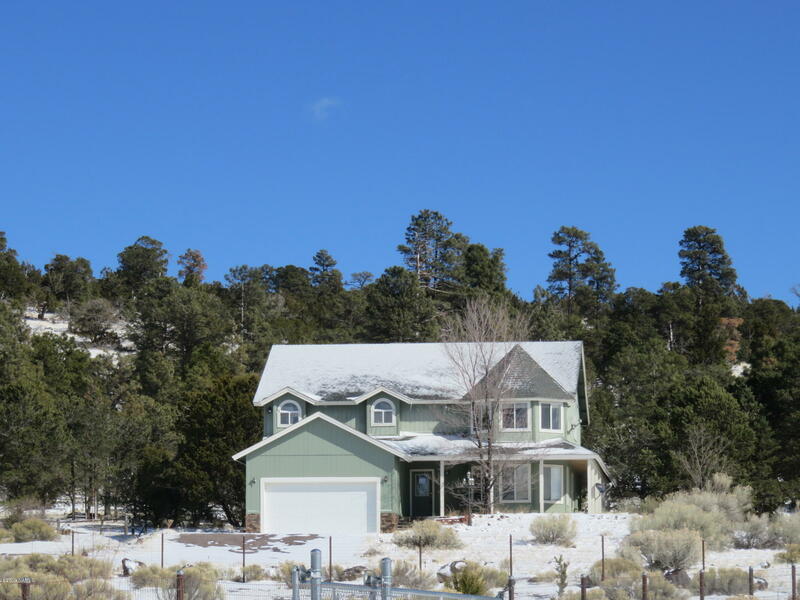 The home is perfectly situated on the 2.27 acre lot to take advatage of the PANORAMIC VIEWS (Download the Panorama) of The San Francisco Peaks, Mount Elden and over 180 degrees of National Forest, Rio Rancho and more. The home has 3301 sqft of approved living space It also features a rare basement area of 1281 Sqft that is carpeted and has heating ducts installed. There are 4 bedrooms upstairs, plus a room on the 1st floor that could be. There are 4 complete bathrooms, 2 upstairs, 1 on main level. There is a bath serving the basement area. A truly unique property that is just waiting for the right party to give their ..